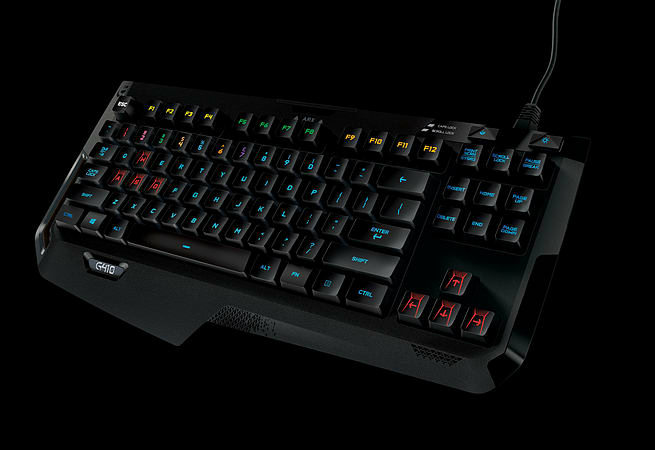 Exclusive Romer-G mechanical key switches make Logitech® G410 Atlas Spectrum up to 25 percent faster than keyboards with standard Cherry switches. 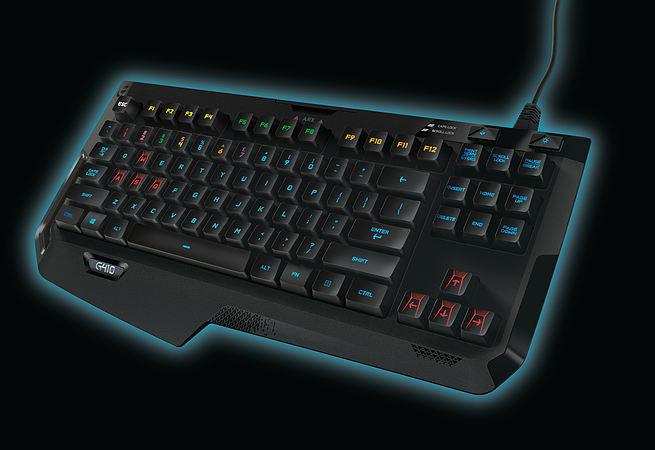 RGB backlighting lets you customise each key with up to 16.8 million colours. 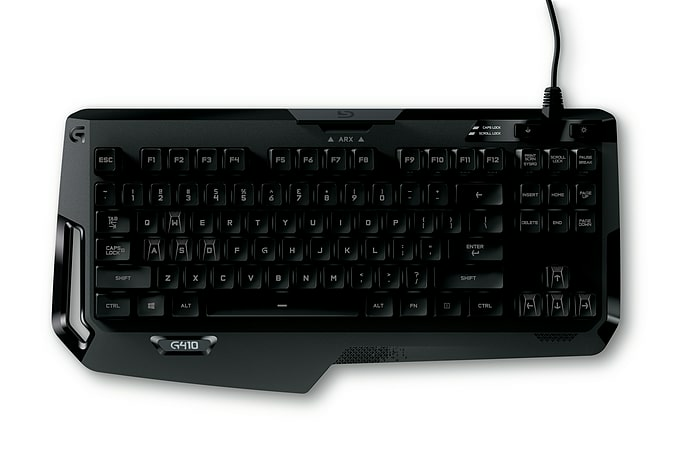 The ultra-light tenkeyless design makes the keyboard easy to carry and gives you extra mouse space. 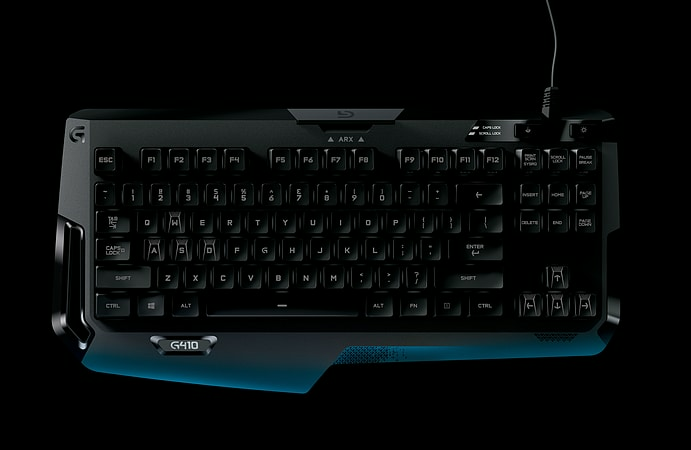 Exclusive Romer-G mechanical key switches make Logitech® G410 Atlas Spectrum up to 25 percent faster than keyboards with standard Cherry switches. 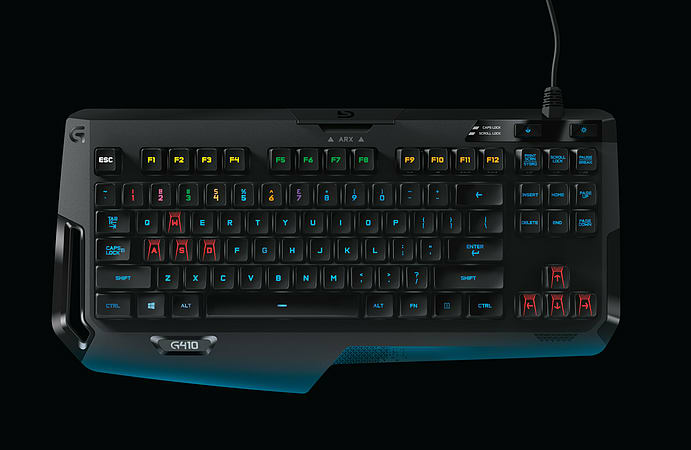 RGB backlighting lets you customise each key with up to 16.8 million colours. Customise key illumination for specific games or game events. 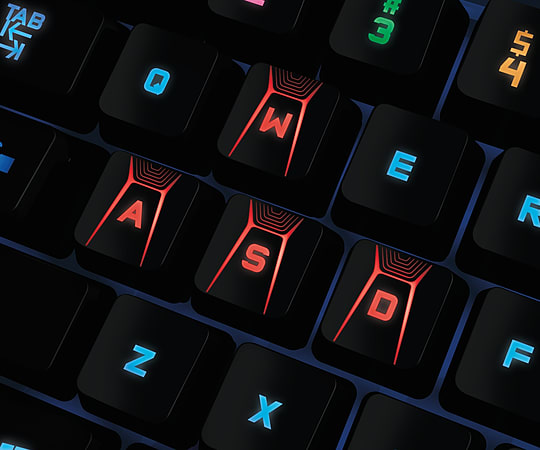 * The ultra-light tenkeyless design makes the keyboard easy to carry, gives you extra mouse space and helps bring your hands closer together while gaming for comfort. 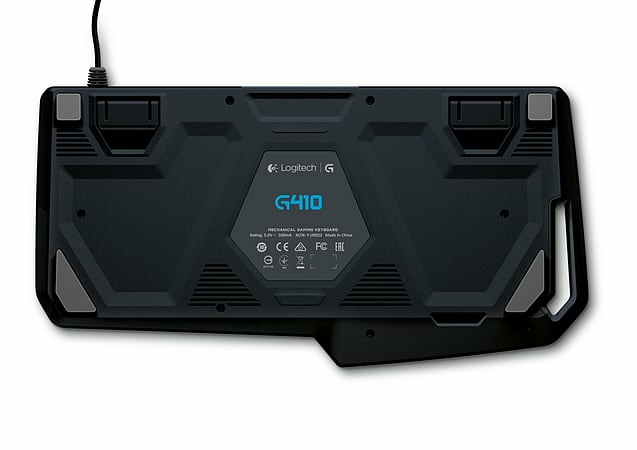 Logitech Arx Control app integration adds second screen capability that allows your mobile device to display in-game info, vital system statistics and more. ** *Some profile settings require Logitech Gaming Software, available for download at logitech.com/downloads. 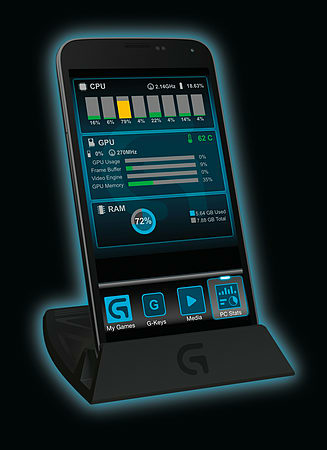 **Arx Control Display requires Logitech Gaming Software available at Logitech.com/downloads and the compatible Arx Control mobile app available in the Apple and Android app stores.